Nourish for Caregivers connects others going through similar experiences of caring for a loved one. Move forward in a purposeful way, refresh and empower yourself with practical advice, useful tools and insightful discussions. Navigate these times with a Christ-centered view and you will begin to thrive, with joy and holiness, in your caregiver journey. 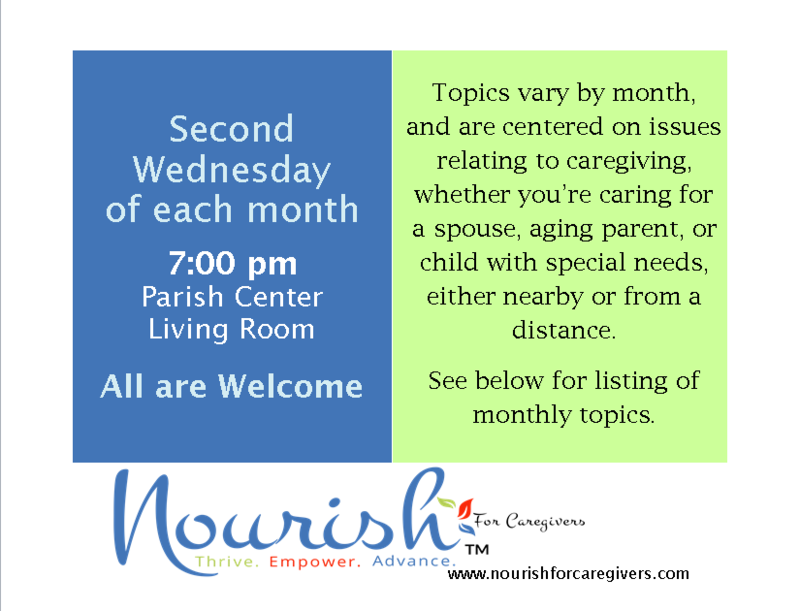 Nourish for Caregivers monthly meetings cover topics that pertain to family caregiving, whether you’re caring for an ailing or aging parent or spouse, a disabled child, either in your home, in town or from afar. Monthly topics explore the practical, emotional and spiritual aspects of family caregiving with useful tools and insightful discussions. Here, you are never alone. 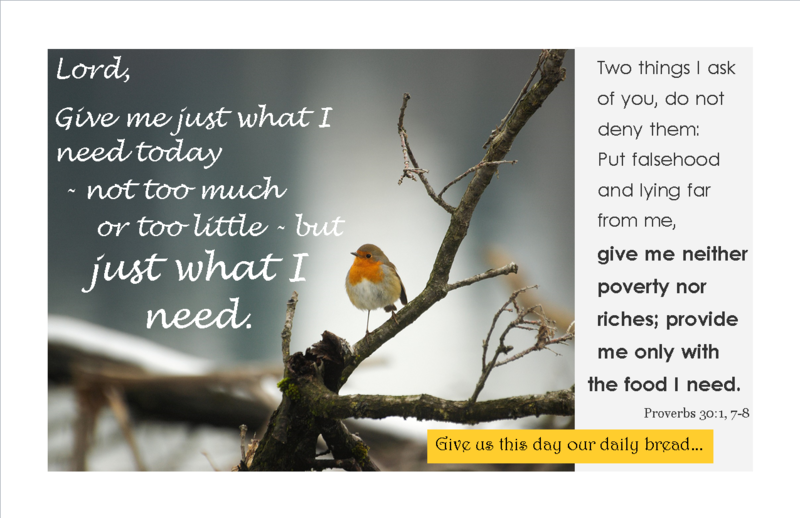 Everyday is a fresh start to trust God, find balance and be Nourished.